an Animal Packer will have your kiddo's back! We KNOW your new backpack will get dirty. But don't worry, it's WASHABLE. We even include something to help! 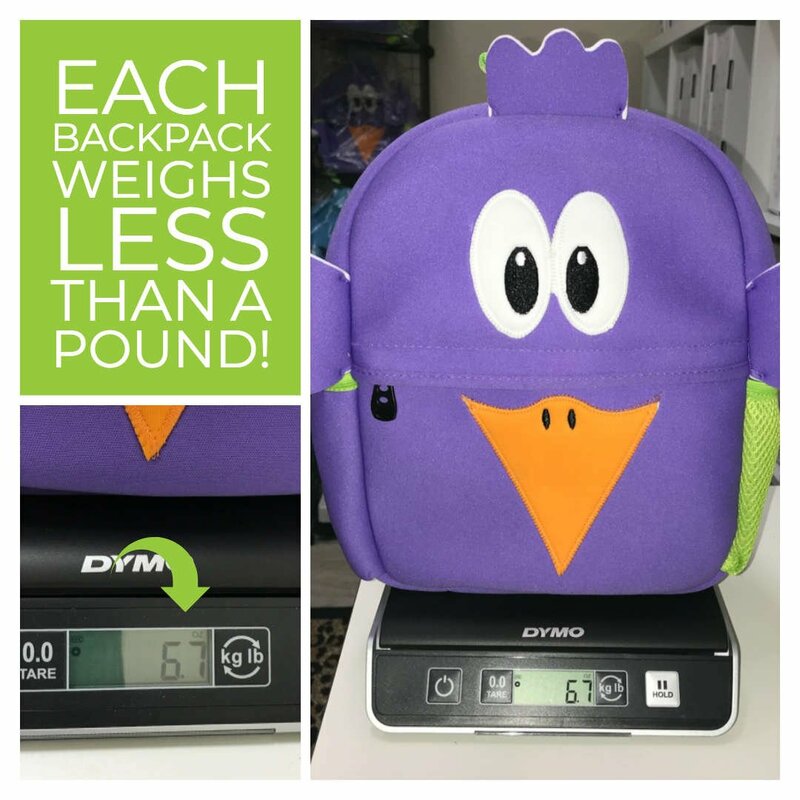 All Animal Packers backpacks are VERY lightweight (each weighs about 2/3 pounds!) 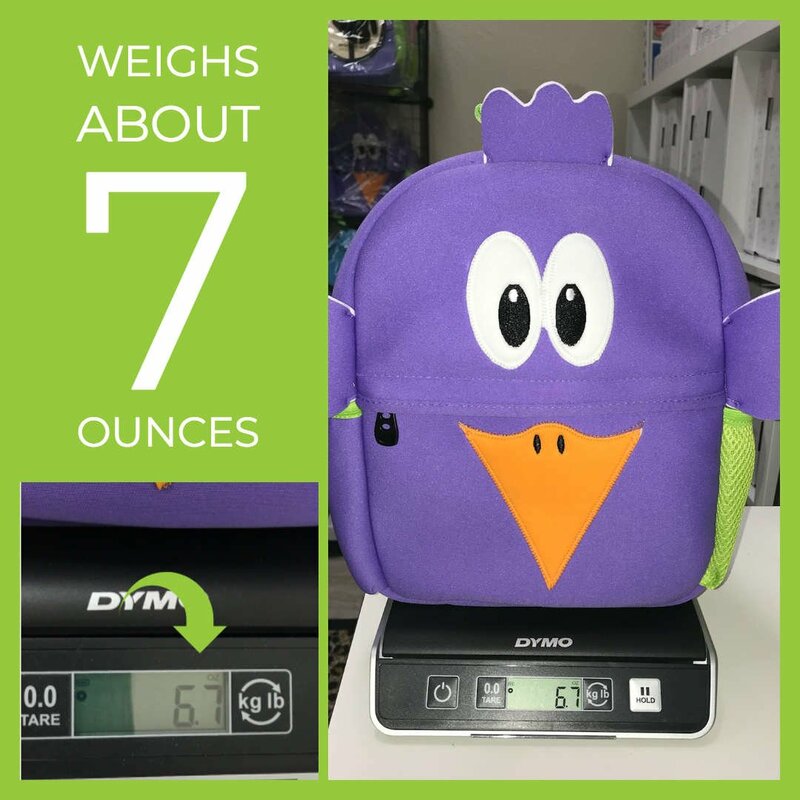 Our backpacks are so lightweight, your Little will forget he's carrying it! Shhhhh.....Don't remind him. Just adore the cuteness and be thankful that YOU are not carrying it! Our backpacks are fully-lined, we even tuck in the zipper! No more loose threads getting stuck in the zipper. Animal Packers backpacks are designed to carry up to 5 pounds. Our lightweight backpacks just can't handle 3 full water bottles, 2 bags of crackers, 4 snack bars, a change of clothing, Mommy's wallet, car keys and lipstick. Although these things will fit inside, the neoprene fabric can't handle the stress. It's like the time I put my husband's fitness weights in a plastic laundry basket to move them. I'm a feisty little beast, so when I (attempted to) pick up the basket, you can imagine what happened to the plastic! The straps are easily adjusted for the tiniest walking Littles! However, sometimes the extra webbing is too long. In this video we show you how to shorten the webbing! HOWEVER.... 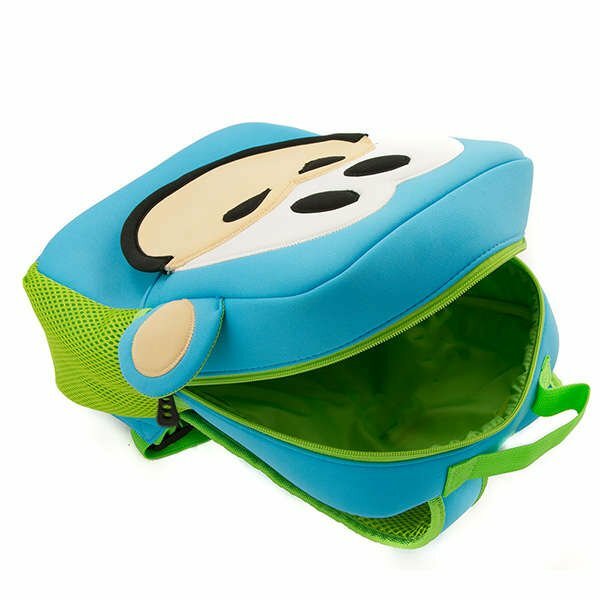 Animal Packers backpacks are designed to carry up to 5 pounds. Our lightweight backpacks just can't handle 3 full water bottles, 2 bags of crackers, 4 snack bars, a change of clothing, Mommy's wallet, car keys and lipstick.